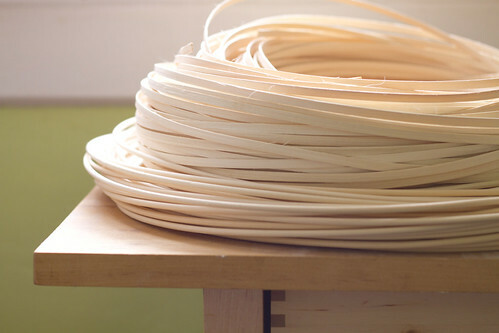 This is a bundle of #6 round reed and quarter inch flat reed. 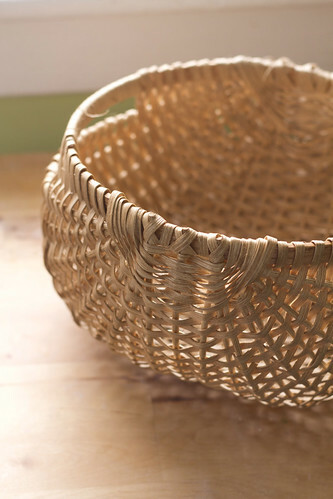 Along with a 10″ diameter wooden hoop for the rim and a little tung oil for color, this is all I used for this basket. Reeds smell a lot like hay, which had me constantly reminded of petting zoo smells. It was strangely more appealing than you might think. 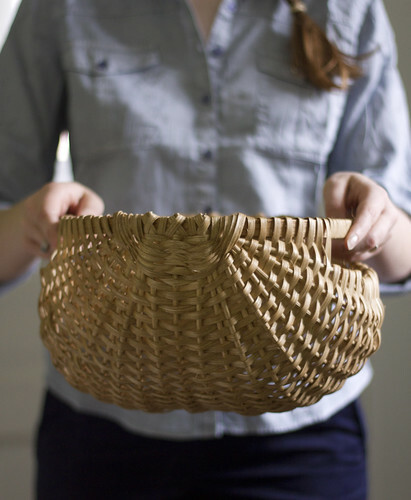 As a fan of both containers of all kinds and weaving, baskets fit pretty perfectly into the realm of things I like. There will definitely be more to come. Next up: methods for staving off the winter chill brought on by all this snow! Or if you’re not in a snowy place, just general winter coldness. Posted on January 11, 2011 by Jessica This entry was posted in Crafts. Bookmark the permalink.